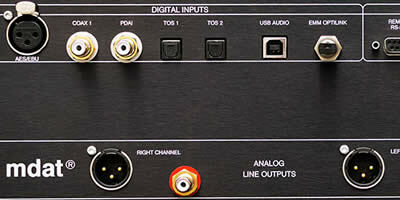 If there are two absolutes in digital audio, they are that: 1.) Jitter never, ever sounds good and 2.) Ed Meitner has zero tolerance for jitter. In fact, he’s spent a lifetime finding innovative new ways to eliminate it. 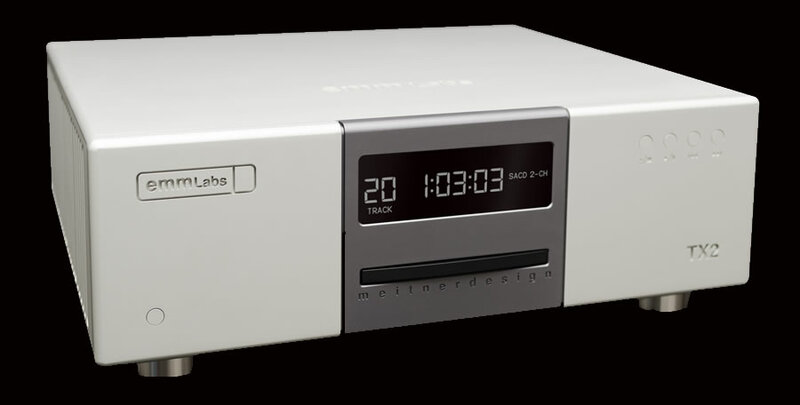 Nowhere are the sonic benefits of his work more astonishingly clear than in the new EMM Labs TX2 CD/SACD reference transport. 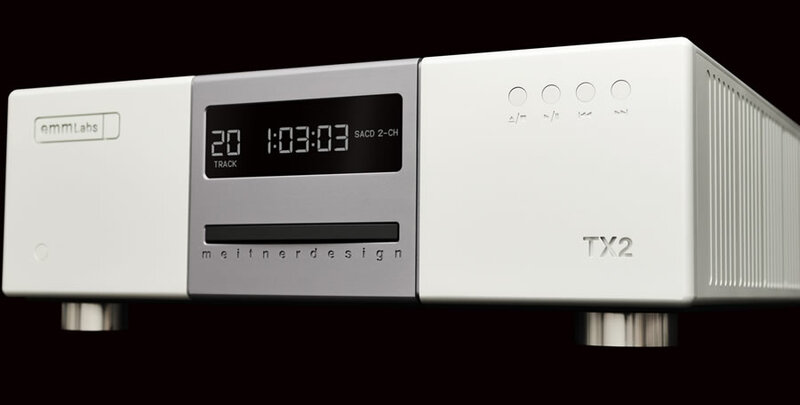 The TX2 CD/SACD transport has been built with the award winning technology used in the TSDX and the XDS1 V2. Like the DA2, its companion converter, the TX2 transport has also been endowed with the latest generation MDAT2™ up-converting DSP. Connect the TX2 transport and DA2 via the single-cable EMM Optilink interface to galvanically isolate the transport from the DAC. MDAT2™ also dynamically adapts to the transient nature of the musical signal instead of addressing it conventionally, as a series of sine waves. 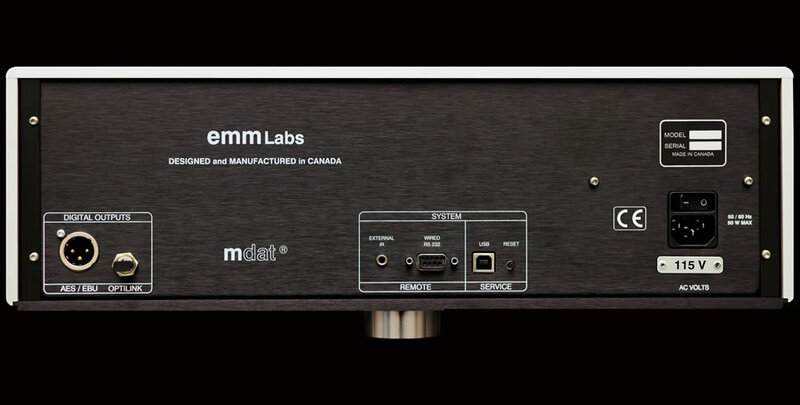 This technology enables the TX2 to do something unheard of in the world of digital audio: preserve the phase and frequency integrity of the original signal. We think you’ll find our hardware every bit as impressive as our software. 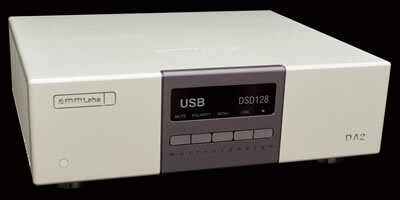 The TX2 employs the silky smooth, super responsive Esoteric™ drive mated to our latest generation digital systems. 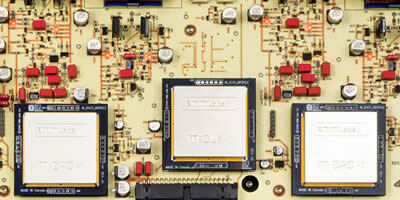 The TX2 also uses EMM’s latest generation reference high-isolation resonant mode power supply. 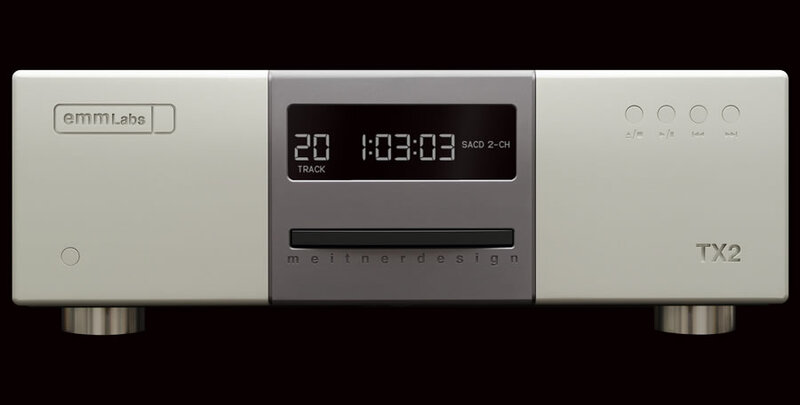 Its advanced systems allow it to synchronize its operating frequency (or resonant mode) to that of every other system within the TX2 — reducing digital noise to the vanishing point. It also offers ultra-tight regulation and virtually complete isolation from power-line impurities and fluctuations. Then there’s its crisp large new LCD display offering four brightness levels plus a “display off” setting. EMM Optilink digital output for galvanically isolated connection to DA2 converter. Glass optical interconnect is immune from electrical, magnetic or radio-frequency interference.